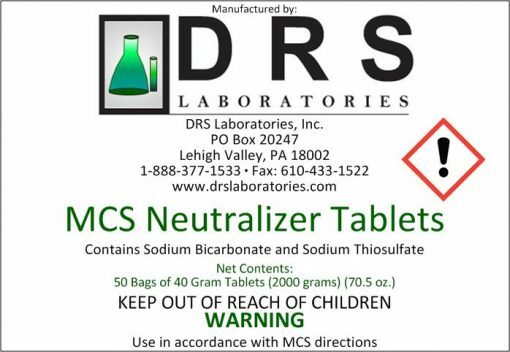 Our Neutralization Tablets are of a proprietary mixture is necessary for the MCS after it has been used for the decontamination of a device. There remains approximately 1000 mL of a yellowish liquid within the CD Dispensing system’s bubbler. This liquid is comprised primarily of fairly acidic water (pH < 2) and a relatively high concentration of dissolved chlorine dioxide (CD). The solution is caustic and, when open to the air, releases CD gas such that the concentration in the surrounding air is above the OSHA permissible exposure level. 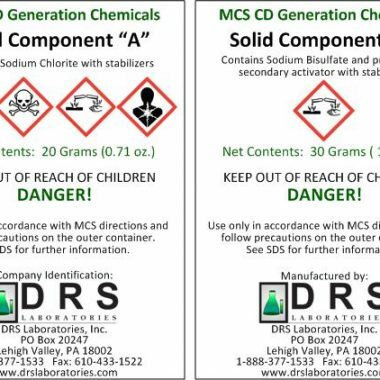 Aside from the risks involved with handling such a liquid, many of DRS Laboratories’ clients would not find it acceptable to pour this solution directly into their drains. Our Neutralization Tablets will neutralize the CD and balance the acidic solution for it to be disposed of properly down the drain. Only one bag of the Neutralization Tablets is needed per decontamination, no matter the size of the device.